Want a paralegal career? A paralegal is an individual that will do much of the minor legal research and filing of court documents for an attorney so as to keep the cost of representation in line and still keep the attorney of record up to speed as to the status of the proceedings. 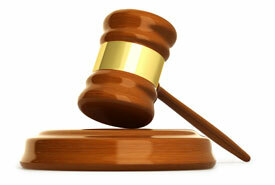 Most paralegals will be working in the office of the attorney that they work for and with. A paralegal does most of the legal work involved in a case, with the exception of setting legal fees and discussing legal precedent with any client. Paralegals are found in all sorts of businesses; however, the legal profession is one of the most prominent working environments for a paralegal. A paralegal will be able to draft up many legal documents such as mortgage liens, wills and many other drafts in preparation for trials and hearings in front of a judge. Many paralegals have an Associate’s Degree, which is a two-year, specialty degree from a junior college. There are some paralegals that will have a four-year degree, and with further studies, are able to assist in many types of extensive legal work just short of actually going to trial. The income that a paralegal can make varies widely on the type of job they are working with. If a real estate paralegal is working for a mortgage firm and the primary purpose is to complete mortgage drafts and letters of intent, the pay structure would be somewhat less than that of a paralegal that is preparing research and documentation for a criminal law firm that is primarily into the defense mode of legal litigation. A paralegal for a smaller non-litigation type law firm may make anywhere from $35,000 to $45,000 per year, whereas a paralegal for a criminal defense lawyer, may make upwards or $65,000 to $80,000. A paralegal is different from an attorney in the respect that an attorney has gone to post graduate school of at least three years after receiving a four-year college degree. And the attorney can, and does, make legal appearances in the court of law in representation of a client. Although the lawyer is the main focus of the criminal case loads within the court system, it is the trained paralegal that has done most of the research and may have even written the closing statements for presentation.